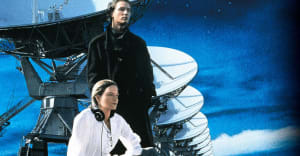 The film follows the extraterrestrial research efforts of Dr Ellie Arroway, played by Jodie Foster. 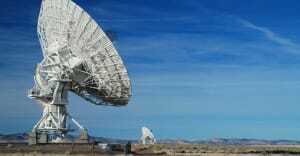 Following a series of setbacks, and a renewed focus on her work, she eventually gets a massive break in her studies, in the form of contact by alien life. Upon decrypting the message she receives, Ellie is led to believe that the alien beings are trying to tell her how to construct a machine with which humans can travel to their alien homeworld, making first physical contact with an extraterrestrial race. Pursuing her life goal, Ellie must convince those funding her research, as well as government agencies, to allow the production of this travel device, and convince them of its value and function. And there's no telling what Ellie may find if such a device works. 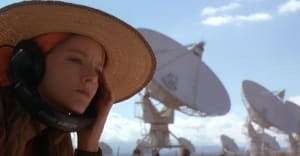 Contact was initially pitched as a film project along with famed astronomer and astrophysicist Carl Sagan many years earlier, in 1979. Sagan and Ann Druyan worked on a treatment for the movie, but the project became stuck in development hell for a number of years, with several failed attempts at getting the production started. 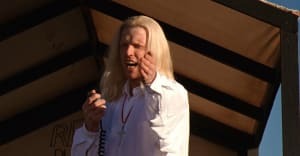 In the meantime, Sagan fleshed out the idea as a novel published in 1985, which would become the basis for the film when it finally came to fruition in 1996, when production on Contact began. Contact is a 1997 American science fiction film directed and produced by prolific filmmaker Robert Zemeckis. The film was co-produced by Steve Starkey and written by James V Hart and Michael Goldenberg. The movie stars Jodie Foster, Matthew McConaughey, James Woods, and John Hurt. 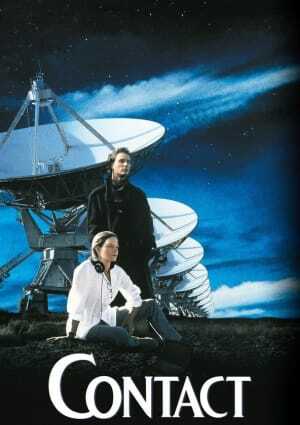 The movie is based on the 1985 novel of the same name written by Carl Sagan. Production was handled by South Side Amusement Company, with distribution by Warner Brothers. It earned over $171 million during its theatrical run, against a $90 million budget.